Physical activity doesn’t have to mean the gym or competitive sport, though these can be great options. Activity can take many forms and happen in many places. Don’t worry about hitting these targets straight away: it’s more important to do something active that you enjoy. 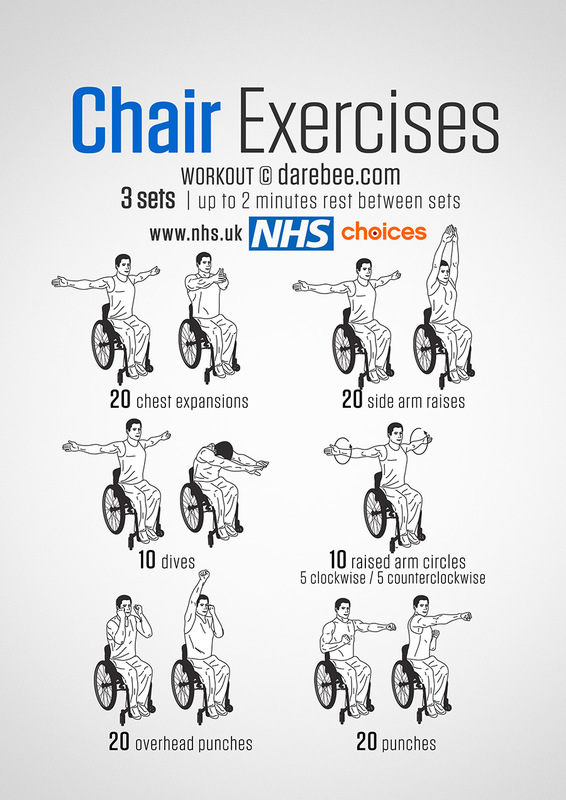 There’s a range of options available for taking cardiovascular exercise in a wheelchair. If you’re unused to exercise or you haven’t exercised for some time, aim to start with 10-minute sessions and gradually build up towards 20 minutes. Because of this, it’s a good idea to focus on exercises that work the smaller muscles that support the pushing motion, such as the shoulder muscles. This can help prevent injury.